Monday - Saturday: 10:30 a.m. to 6:30 p.m.
Sunday: 1:00 p.m. to 6:30 p.m.
**To become a member of the pool, you must first be a MEMBER of the Lodge. 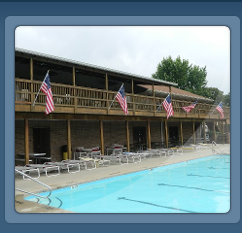 ** Call the office today to rent the pool for the 2019 pool season! 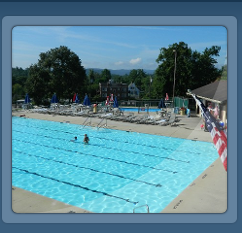 Reservations will not be taken before April 1st for the pool season. Remember you must present your 2019/2020 Lodge membership card to get your Pool Membership. 1. Every person entering the Pool area MUST REGISTER at the Concession Stand – this means Member, Member's family, and out of county guest(s).Any member or member’s family bringing in “in-county”guests without the new In-county pool guest pass during normal hours could lose pool membership for the summer. In county guest is anyone who lives, works, or attends school in Henderson County. 2. The Pool Manager and Lifeguards on duty have the authority to enforce all rules and regulations pertaining to the use of the Pool. They may expel from the Pool, or deny admission to, any person whose conduct or demeanor is objectionable or is in violation of the rules. 3. 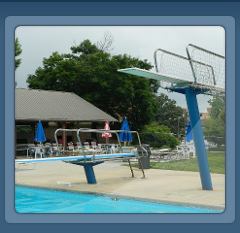 No one 25 or older are allowed on a pool membership unless otherwise approved by BOTH Pool Manager and Assistant Manager. 4. Swimming is permitted only when the Lifeguards are on duty. 5. No dogs or other animals will be permitted in the Pool area. 6. NO outside alcohol allowed in pool area. 7. All accidents, however minor, are to be reported immediately to one of the Lifeguards on duty. 8. All children under 16 years of age must be accompanied by a parent or guardian who shall be responsible for the conduct of said children. Nurses, maids, babysitter, or other employees of a member will be permitted in lieu of the parent as determined by the Pool Committee or Pool Manager in advance. 9. Children under four (4) years of age shall not use the main Pool unless attended in the water by a parent. Children over seven (7) years of age shall not use the wading Pool. 10. There will be no swimming during an electrical storm. You are required to EXIT Pool immediately (OSHA Law & State of NC Law). 11. No running on the Pool deck area. 12. Intentional breaking or destroying of Lodge property will be accountable to the Member. 13. Boisterous or rough play will not be tolerated. 14. No inner tubes or rafts permitted. 15. Swimsuits only – are allowed in the Pool. 16. No glass or breakable containers in Pool or around Pool area (OSHA Law & State of NC Law). 17. 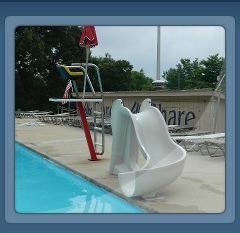 Do not relocate Pool furniture from immediate Pool area at any time – it is to be kept on and around the deck of Pool only (OSHA Law & State of NC Law)! Pool furniture should not be within 6 ft of the pool at anytime for any reason. 18. No private party on Thursday Nights. No one is allowed to cook on grill(s) before 6:30 on Thursday nights. Lifeguards will light grill(s) at 6:30 p.m. Guests are allowed to enter at 7 p.m.
Every precaution will be taken for Health and Safety and for the protection of personal belongings, but the Lodge is not responsible in the case of accident, injury, or loss of any kind. Lost articles turned in or picked up by the Lifeguards at closing time daily may be reclaimed at the Concession stand. Unclaimed articles of nominal value (towels, t-shirts, swim fins, etc.) will be disposed of after the closing of the Pool in the Fall.